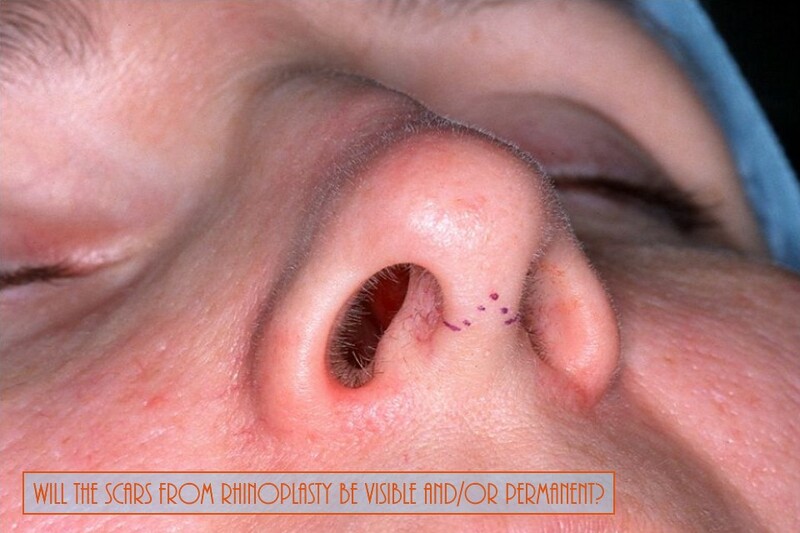 Home > Blog > Will Scars From Rhinoplasty Be Visible And/Or Permanent? When Rhinoplasty is performed from inside the nose (Closed Rhinoplasty), there is no visible scarring at all; but when an open technique is used, or when the procedure calls for the narrowing of flared nostrils (Alarplasty). If you choose to go to a Board Certified plastic or cosmetic surgeon small scars on the base of the nose are usually not visible.